Next week Alpe d’Huez launches ‘Operation Montagne Propre’ for another year. In 2018, around 70 volunteers donned gloves and took to the streets, carrying rubbish bags and litter tongs to clear the town of litter. 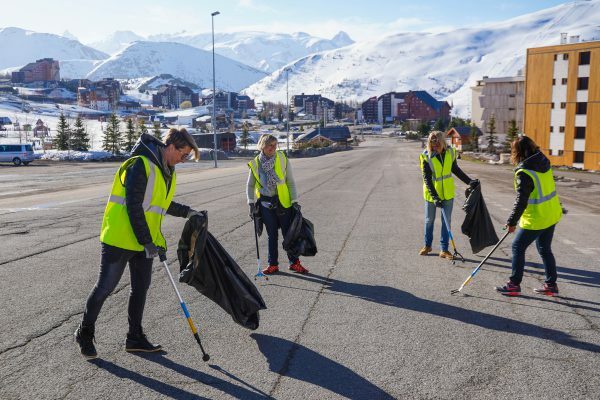 Covering all the different areas of the village of Alpe d’Huez over 800 kg of litter was collected in just one morning. In 2019 on Friday 26 April ‘Operation Montagne Propre’ returns. 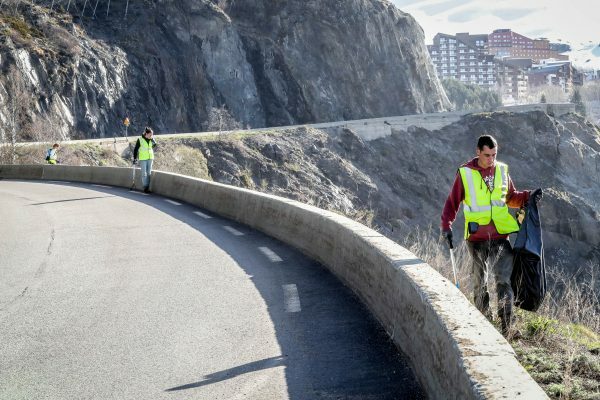 The annual clean-up is dependent on a good turnout of volunteers, made up of locals, seasonal workers and second-home owners, to join in and help clean the resort. 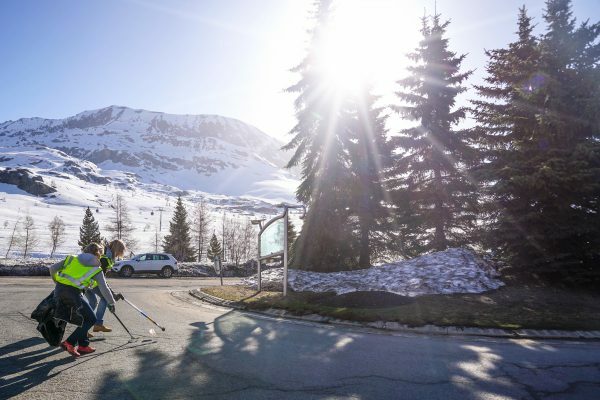 It’s shocking how many skiers and snowboarders take so little care when disposing of their plastic and glass bottles, cigarette butts and other more items. With the summer coming and the snow melting, sadly all the rubbish left behind by holidaymakers is exposed. Hence ‘Operation Montagne Propre’, with the aim of bringing the mountains back to their original splendour. If you’d like to join in, then simply meet at 7.30am on Friday 26th April at the Mairie in Alpe d’Huez. The upside for volunteers will be a BBQ for participants at the end of their morning of litter-clearing at 12.30pm – plus the satisfaction of having helped restore the mountain resort to a pristine state. This entry was posted in Alpe d'Huez and tagged alpe d'huez. Bookmark the permalink.